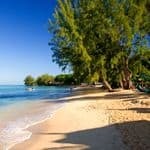 Barbados is famed for its luxury accommodation but single rooms in five-star hotels are notoriously hard to find the world over. The beachfront Coral Reef Club has four spacious and elegant singles, each with a private terrace or garden, plus a world-class spa, watersports, room service dining and live evening entertainment. If you are travelling solo and want to relax in an elegant and luxurious tropical resort, we think we’ve found the perfect place. It’s the five-star Coral Reef Club in Barbados, a member of Small Luxury Hotels of the World. Located on the island’s prestigious west coast, this renowned family-run hotel has four single garden view rooms, each with a double bed, en suite bathroom and private terrace or balcony. Of course, if your budget permits, you can upgrade to a larger room or suite (some are oceanfront) and pay the single occupancy supplement but we think you’ll find all you need and more in the single garden rooms – a rare find in the world of luxury hotels. By day, life at Coral Reef Club largely revolves around the glorious stretch of palm-fringed beach, the swimming pools and 12 acres of lush tropical gardens. 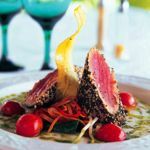 Breakfast, lunch and dinner are served al fresco in the oceanfront restaurant, renowned for its superb cuisine as well as the live entertainment most evenings – a steel band, jazz or Calypso music, for example. There’s a cocktail bar too and the option of room service, with no delivery charge, when you feel like some solitude. The Spa is a haven of natural beauty and tranquility with an outdoor pool, thermal suite and outstanding treatments – we rate it as one of the best in the Caribbean. There are complimentary non-motorised watersports, plus tennis coaching on the hotel’s two courts and a state of the art gym. It would be remiss for us not to mention the Coral Reef Club team – in addition to the delightful O’Hara family, all the staff are exceptional, exuding warmth and charm. All these things add up to a relaxing, comfortable and pampering holiday for solo travellers – and we include lounge access at Gatwick and private transfers too so you travel in style. Find out more about Coral Reef Club.